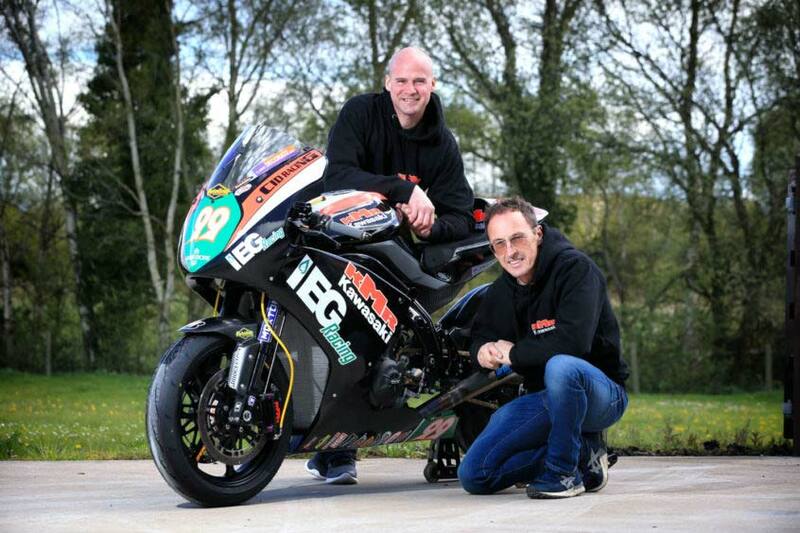 Jeremy McWilliams will return to the 2018 Vauxhall International North West 200, racing an ER6 Kawasaki for Ryan Farquhar’s KMR team in both Supertwins races. The former Grand Prix racer made his North West debut in 2012, winning twice in the Twins class in 2013 and 2015 on KMR machines. The 54 year old is determined to get back on to the top step of the podium on May 13-19. “I would never take part in any race if I didn’t think I could win.” McWilliams sad. KMR team boss Farquhar agrees his new signing is capable of taking another North West win. “I have no doubt about that.” the Dungannon man said. His eleventh hour deal means McWilliams won’t enjoy much time on the 2018 spec KMR ER6 before practice begins on May 15. It isn’t something that causes him much concern though. “I wouldn’t be happy going to the North West on anything but one of Ryan’s bikes.” McWilliams said. “I enjoy the way the North West is set up because you have time to enjoy the event.“ he explained. McWilliams admits his wife Jill and sons Jack and Zack took a little convincing that his North West return was a good idea. “We are a close knit family and I wouldn’t have done it again without all of their support.” he explained.